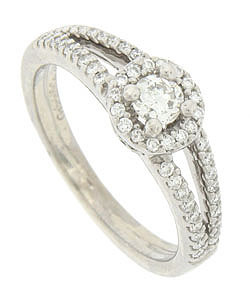 A dazzling .21 carat round faceted diamond sparkles from the center of this 14K white gold engagement ring. An additional .25 carats of round faceted diamonds frame the center stone and frost the shoulders and sides of this stunning wedding ring. 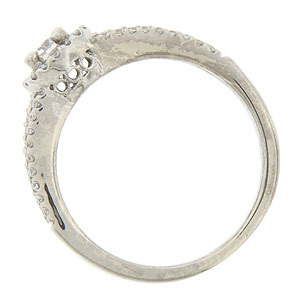 The ring measures 6.71 mm in width. Size 6 1/4. We can re-size.